Since my eldest was diagnosed with severe general anxiety disorder nearly 5 years ago, my family has learned so much about resources available to help those with mental health issues. The good news is that there is more available today than there were then. The bad news is that there still aren't enough resources for everyone who needs help, leading to long wait lists for specialized services, hampered further by insurance companies' unwillingness to pay. Try telling your suicidal teenager to hold off on acting on those feelings until a bed opens up. Unlike services for physical ailments, the kinds of options available for mental health care are not widely known to people until they need them. Develop a weird rash? See a dermatologist. Have a strange skipping heartbeat once in a while? See a cardiologist. Develop life-stopping anxiety? See a...psychiatrist? Psychologist? Therapist? All of the above? Do I need cognitive behavioral therapy (CBT)? Dialectical behavior therapy (DBT)? Eye movement desensitization and reprocessing (EMDR)? Most people have an idea of the kind of specialist to go to for physical ailments; even if they didn't, they could go to a general practitioner who would steer them in the right direction. But for mental health care? Better start educating yourself. I have recently helped steer a friend through a mental health crisis for her daughter. She is grateful because if she didn't have a friend to lean on, she wouldn't have known where to turn, and the hospital where her daughter is right now is not about educating her, just getting her daughter healthy enough to leave the hospital. 1. These are the terms as I've defined them through our family's experience. They're probably not the "right" ones, but they work for my understanding as a parent and advocate trying to get resources for my children. 2. I'm not intentionally ignoring other mental health conditions like schizophrenia, bipolar, manic disorders and others. I just have no experience with them, so I only speak to those resources that treat depression and anxiety/OCD. Inpatient care is almost 100% reserved for those whose condition has deteriorated to the point that ending their lives is a viable option to them. Both of my kids' primary diagnosis is anxiety, but at that point in their lives their anxiety was so uncontrolled that it caused suicidal thoughts. Just because your kid does not have depression does not mean you won't encounter these programs in the course of his/her treatment. I have learned that depression and suicidal thoughts can be and often are completely unrelated. Psychiatrist/Psychologist/Therapist: The psychiatrist is the only one who can prescribe medications, the other two can't. We honestly have never used psychologists in our daughters' care, only therapists and psychiatrists. If your child is in an inpatient program, the psychiatrist is the head of the care team. All decisions regarding your child's care will be run by and approved by him/her. Connect with this person daily if possible for updates and discussions on treatment. For outpatient care, the therapist tends to head up the care for your child and the psychiatrist is one of the members of the care team. Inpatient: This is when the child is in the hospital 24/7. There are different kinds of inpatient care, though. We've had experience with two. Acute or Lock Down Units: This is for children and adolescents who are actively suicidal, meaning they have the thoughts, plans and intent to end their lives. These units have extremely limited visitation hours, limited contact with outsiders, restrictions on clothing and other items that can be used for self-harm. If your child is not actively suicidal, this is not the right fit for him/her. For both of our children, if they have been on a lock-down unit it would have made their anxiety so much worse. Sub-Acute or Intensive Treatment Unit (ITU): This is a step down from a lock-down unit, still has some restrictions on clothing allowed (no draw strings, no shoe strings allowed) but much fewer restrictions in other areas. Both of these provide the reassurance of 24-hour care to ensure that patients are safe. Parents of kids who have ever been suicidal know the fear of falling asleep at night and hoping that their children don't do anything to themselves while they're sleeping. Ready for bedtime? Not tonight, thank you, I'll sleep after my kid's gotten help. These programs also provide group therapy, one-on-one therapy, family therapy and psychiatric care on a daily basis. Outpatient: Outpatient means that they do not stay overnight in a facility. Both of my kids started with outpatient, went to inpatient briefly, then back to outpatient. Some kids start at inpatient because their mental health reaches a crisis point. Either way, they will go back to outpatient care. These are the kinds of outpatient programs we've learned about. PHP (Partial Hospitalization Program): This is an outpatient treatment program that lasts 5-8 hours of a person's day, making attending work or school difficult. Most people take a leave of absence while in a PHP. PHPs can sometimes be in a hospital, but many now are in clinics that are fully outpatient based and look nothing like a hospital. PHPs have daily one-on-one therapy, group therapy, time for patients to do whatever "assignments" they need to do for their mental health, and psychiatric care, as well as family therapy as the family is able. 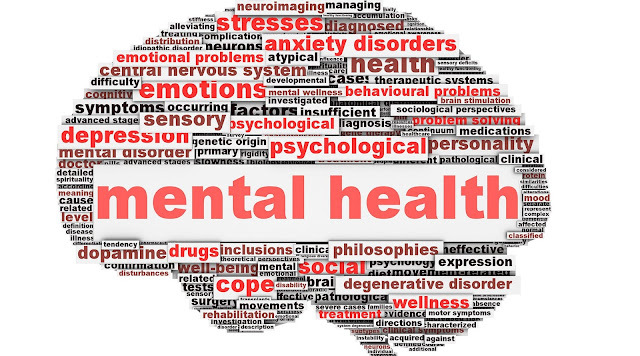 "PHP" is the biggest misnomer of the entire mental health care system. This term has been around for 50 years or more, it needs a new name. IOP (Intensive Outpatient Program): This is a program that lasts between 2-4 hours per day. It has many of the elements of a PHP but in shorter spurts. Not every element occurs every day; group therapy may occur once or twice a week instead of daily. It's another step back to normalcy, when mental health treatment no longer takes up a significant portion of each day. Therapy: The last and usually longest step in returning to full mental health. For my daughter who recently completed an IOP program, she went back to her therapist on a 3x/week basis for a short time, then stepped down to 2x/week, hopefully back to 1x/week at some point. There are so many kinds of therapy, I'm just going to point you to a WebMD article that I think does a great job of summarizing all of the different kinds of therapy available. Click away. Depending on your child's condition, your child may need to go from an inpatient program to a PHP program to an IOP program. And...the inpatient hospital may not always make the best recommendation. We wish we had known what a PHP program and IOP were back when our eldest was in the hospital. (Although there were very few if any IOP programs in the area at the time.) PHP programs existed then; the hospital she was in had one the floor above her! But they never recommended it for her, they said she would be good going back to once-weekly therapy. I believe she would've had a quicker road to recovery had she received intensive help right after hospitalization. We also learned that lapses in care are extremely detrimental. We've had gaps in therapy for our oldest, once when her therapist left the practice and it took us a few months to find a new one, another time when the second therapist we connected her with was not a good "fit" and we didn't make her go until we found yet another. Like strength training, if you don't do it, you lose what you build. She regressed in both time periods and because anxiety is an invisible illness, we had no idea how badly her mental state had gotten until another crisis occurred. Now we are paranoid about making sure there are no gaps. If her therapist ever has to cancel we find another day within the week to replace the session, and for the holidays we schedule around days off far in advance, especially because her anxiety is highest around the holidays (like it is for many). For some, maintenance care means therapy on a consistent basis for years. THIS IS TOTALLY OKAY AND DOES NOT MEAN A PERSON IS CRAZY. I see my chiropractor every two weeks if I want to avoid getting migraines. Why would I ever judge someone for seeing a therapist consistently for decades? Do it if it keeps you healthy. And there you have it, everything I know about mental health resources in a nutshell. Of course, I wouldn't know ANY of this if I hadn't been open with others about what my kids were going through. Once I started telling friends and neighbors about what was happening, I learned that they had gone through similar challenges and I got educated from them. Many people had struggled with advocating for their child's mental health and no one ever knew to help! My point is...we can't solve the problem when we don't talk about the problem. I hope this guide helps even once person navigate the system.